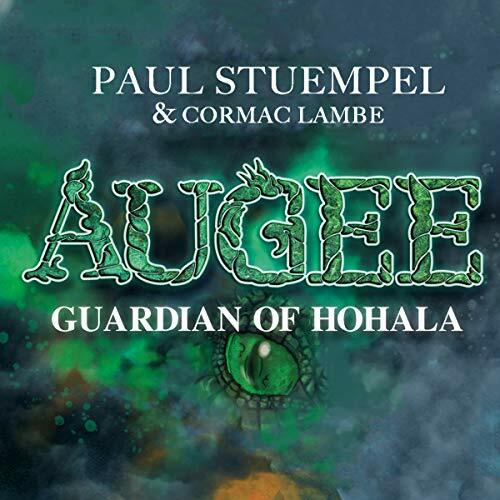 Augee: Guardian of Hohala tells the story of the Hohalians - a nonviolent people who live in abundance in a remote, idyllic country protected by their kindly gods. Across the ocean from Hohala, another nation, the Volcarons, live in destitution. Led by a psychotic genius named Morgoratt, the Volcarons embark on a voyage to conquer Hohala and kill off the natives. When the peace-loving king of Hohala orders his citizens to go into exile to avoid bloodshed, a young rebel, Nicholas Stone, abandons his people - and his love interest, the Hohalian princess - to travel into the wilderness in search of a miracle, guided by what he believes is the mysterious hand of the gods. After an arduous journey into the unknown, Nicholas discovers a peculiar, fire-breathing infant creature, who he names Augee. As he grows, it is discovered that Augee, once angered, exhibits power of terrible fury, and Nicholas and he decide to rise up against the merciless Volcarons in the face of the rest of Hohalian people's inaction.